"Human influence has been detected in warming of the atmosphere and the ocean, in changes in the global water cycle, in reductions of snow and ice, in global mean sea level rise, and in changes in some climate extremes." Sadly, we are the culprit of all the extreme climate change that has been happening around the world. 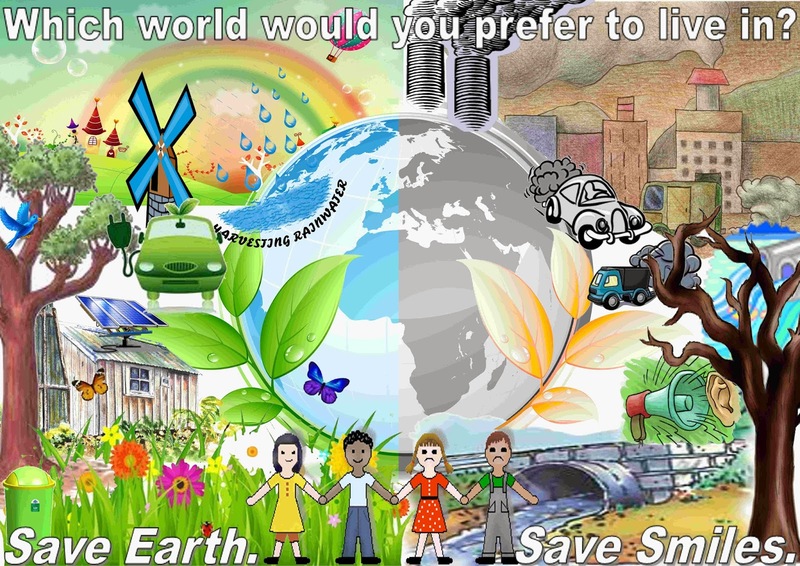 It is about time we do something to save our beloved mother earth. I do believe that even the littlest things can make a difference. All we really need is to take action and do our part. Little contributions from people around the globe in all walks of life when combined together will create a big impact to make a better world. You can begin saving energy in the heart of your home and while doing so, do not forget to educate your family members to do the same. There are so many simple ways to save energy. Start by turning off lights, TV, computers or any energy consuming appliance you have at home that are not in use. You can also opt to use electric fans instead of aircon during cooler months. One of the benefits in experiencing to live in a third world country is being able to appreciate things when you move to a first world country. I always tell my kids to save water although we have ample supply here in Singapore simply because I have experienced running out of water to drink or bathe with in my home country Philippines. Having said that, you don't have to experience poverty in order to learn how to conserve water. You can start saving water by taking a shower not longer than 5 minutes. 4R stands for reduce, reuse, recycle, and re-buy. Practice minimalism at home, buy only things that you really need. When you buy, consider buying pre-loved goods. You can also help reduce carbon dioxide emission by taking a bicycle or opt to walk instead of driving your car to your workplace whenever possible. As for recycling or upcycling, you can consult eco-friendly companies like GreenWerks Chicago to give you ideas on how to incorporate earth friendly construction materials in your home or business. It only takes a little effort from each of us to save the earth from global warming. Go ahead and play your part NOW! you've gone a very long way in the blogosphere Che, so very proud you are one very special friend. :) love love the post.